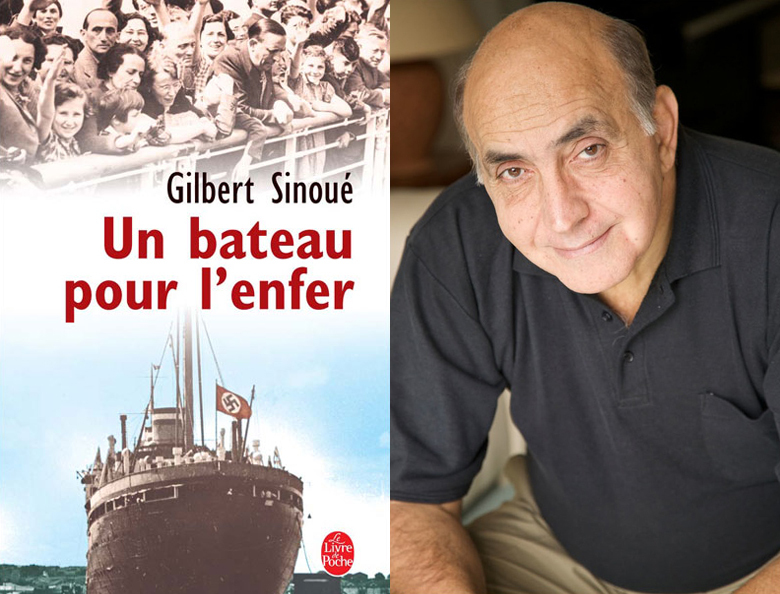 Gilbert Sinoue, a favorite author of historical novels, chronicles an one-way trip through this narrative-documentary. In 1939, Hitler's acts are beginning to be criticized by the world's press. So, the SS in an almost touching way to convince the global community that all the atrocities against them are a matter of exaggerations, organize an excellent communication game. The Jews who wished to leave the country, for a better life in America are totally free to do so. The SS Saint Louis sailed from Hamburg, Germany, bound for Havana, Cuba with 907 passengers (of whom 550 were women and children and all Jewish), who evaded from certain death. Entering, however, in Cuban waters, the ship captain receives a warning of not even thinking of approaching the harbor, as the ship's passengers are no longer welcome. Thus the captain begins a tough battle, trying to persuade other countries such as the USA, Canada, and Latin America to accommodate the refugees. The diligent efforts, however, are futile and the ship must go back to Germany. Although everyone knows the passengers' future in case of return, all ports are kept closed. And that's how the SS Saint Louis begins its terrible wandering. Having read the "L'enfant de Bruges" too and been seduced by the Sinoue's writing , I chose this book because of my enthusiasm for historical novels. Focus, beyond the historical facts, is given in the passengers' climax of emotions and psychological collapse and in SS's propaganda. It's amazing the lack of humanity and the easiness with which they promised these people a new future, then convinced the Cubans (and the rest of the world too) to turn them down -as we know that the Jews were kind of lepers back then- and then with tears in their eyes commanded the the returning of the ship. Such good people, who couldn't compel any other country to accept such pests. From me 4/5 stars to a book that manages to pass you the horrors of the second World War, even with no description of concentration camps or battles.